Northern Lights are specialists in pyro-musicals. Classical to Contemporary, Jazz - Rock 'n' Roll, Live or Pre-recorded we can choreograph your display with artistic flair and creativity. Our design team are experts at timing to perfection and as twice winners of the British Musical Fireworks Championships Northern Lights can assure you we won't miss a beat! 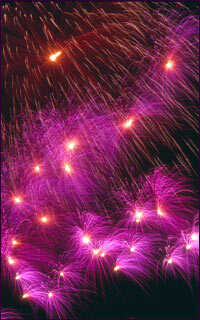 Northern Lights pyro-musical displays start from £1500 plus VAT. Please contact us for more details.